On Saturday, December 3, the highway traffic leading to the Mont Blanc tunnel was blocked for an hour by environmentalists. ARSMB (Association for the Respect of the Mont Blanc Site). is just coming out of a 22 days warning period due to heavy fine particles pollution. According to the association, during the same period the truck traffic in the Mont Blanc tunnel would have exceeded the light vehicles traffic, reaching up to 2500 trucks per day. The protesters were asking for an appointment with the prefecture demanding to be involved in the atmosphere protection plan, currently under development. 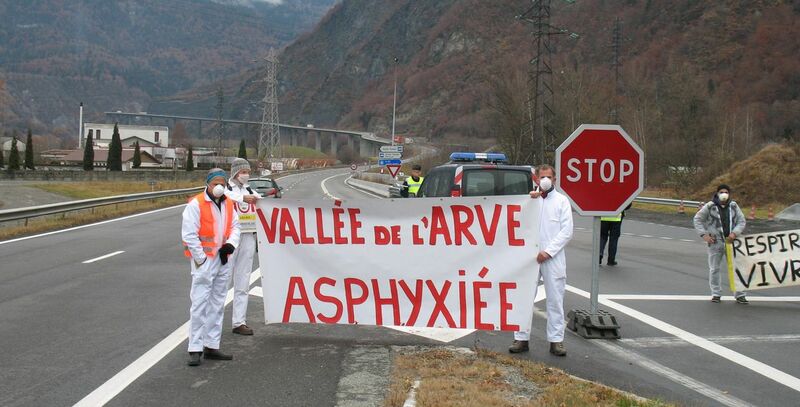 They were expecting to meet the Haute-Savoie department authorities, Monday, December 5.